This Demiguise character from Fantastic Beasts and Where to Find Them is one hard little beast to capture if ever on the loose. First of all, invisibility is one of their magical powers and on top of that, being precognitive insight which really makes it difficult even if you are able to see them. They can only be captured by Wizards and Witches that are skilled and trained with the right techniques including making unpredictable moves to counter the foresight of the little creatures. 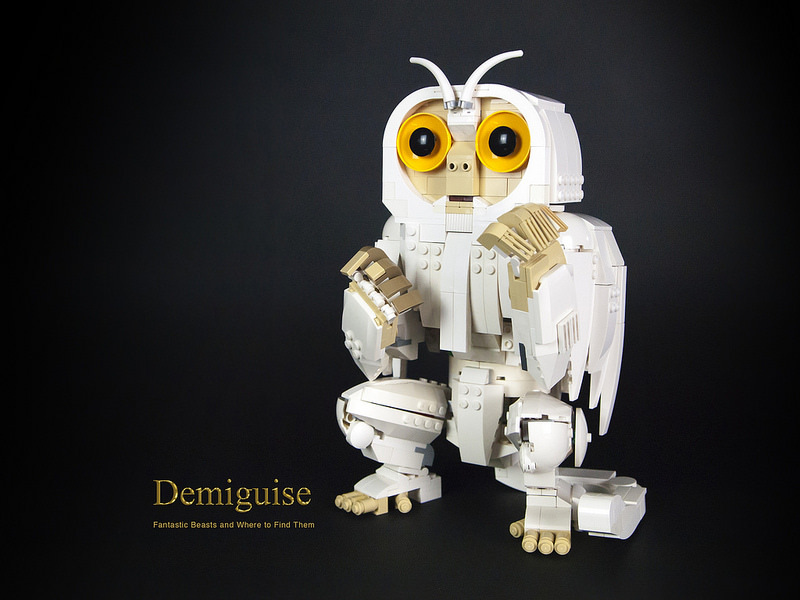 It is fortunate that we indeed can see this Demiguise built by yu chris and its wide-eyed stare made up of the bright light orange 4×4 inverted radar dish and a round 2×2 boat stud for its dark pupils to stare into the abyss.